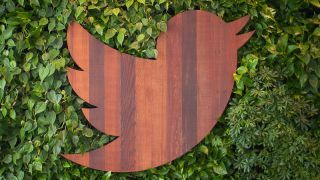 Twitter might be the next social network to incorporate video advertisements into users News Feeds, with the firm revealing it has spent much of 2014 testing the new money-spinning feature. In a blog post, Twitter explained how it has been building videos into its media-friendly 'Cards' interface to allow one-tap playback. The company said it is now ready for a beta test of Promoted Videos, which could spell another influx of tweets from brands and companies users have little interest in following. "By using Promoted Video," the firm wrote on its advertising blog, "it's easy for brands to upload and distribute video on Twitter, and to measure the reach and effectiveness of this content." The announcement from Twitter comes following Facebook's deployment of video ads within it's own portals and photo ads on its Instagram photo-sharing app. Twitter has already come under fire this month after news emerged the company was experimenting with integrating tweets from accounts followed by users' friends, yet not the users themselves. This was on top of its promoted and sponsored tweets. With video also added into the mix, will there by much timeline real estate left for, you know, folks Twitter users actually follow?